I remember buying this figure a really long time ago at an Anime Expo while I was a kid. Back then I’d just go for the Exhibit Hall with my parents and squander as much money as I could on Transformers figures. Sure have come a long way since then. 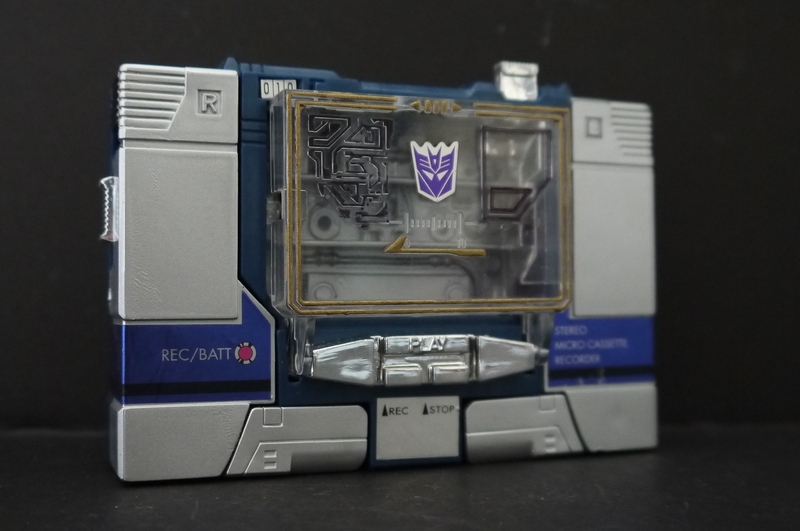 Soundwave was my favorite piece of the haul that year; I’ve always thought how it was cool that he turned into a 1:1 scale mini-cassette player. I’d carry him around with me everywhere as a kid and pretend I was hip with a retro media device that was secretly a transforming robot. Because no one else watched G1 in my generation. Yup, still kept the ‘ol box and have had him preserved in there for quite a while, ever since I grew out of Transformers. 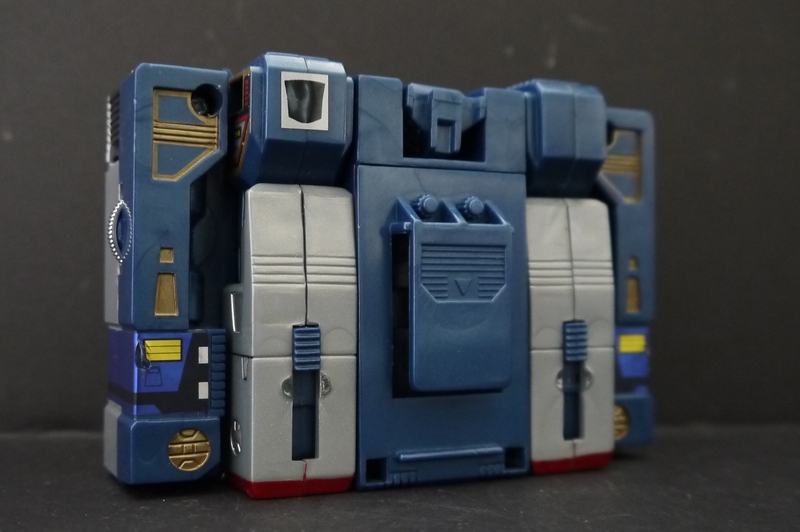 As far as I know, this is very close to the exact toy that was released in the 1980’s~ when Generation 1 came out, so don’t expect it to have twenty-first century toy engineering. 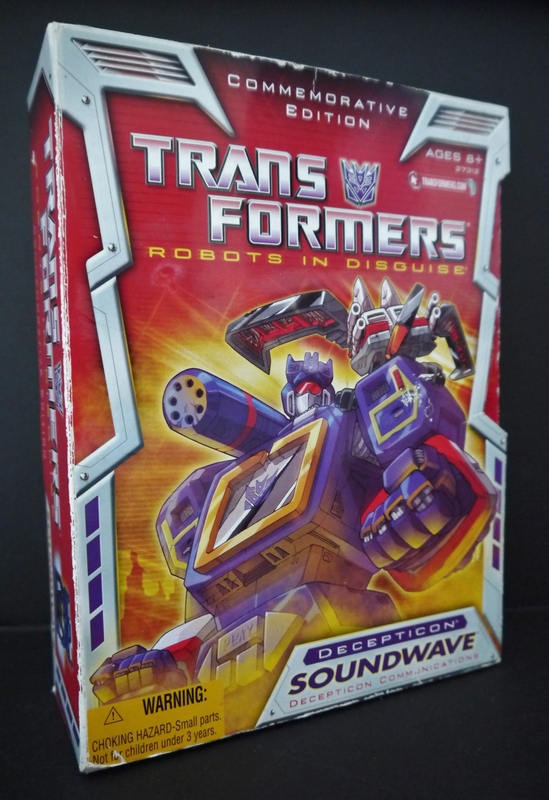 Soundwave transforms into a block and stands like one. Nevertheless, I have to say he’s one of the more endearing G1 toys that has aged quite well over time. I can’t really knock it for design points given what he’s supposed to be. 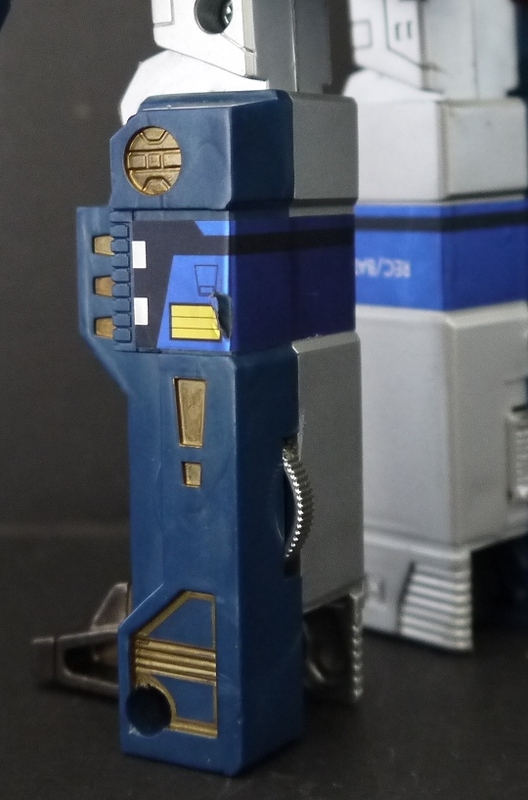 I should point out now that as a child, when I first got into acrylic painting on Gundam, I used some of said paints on a few of my old Transformers. 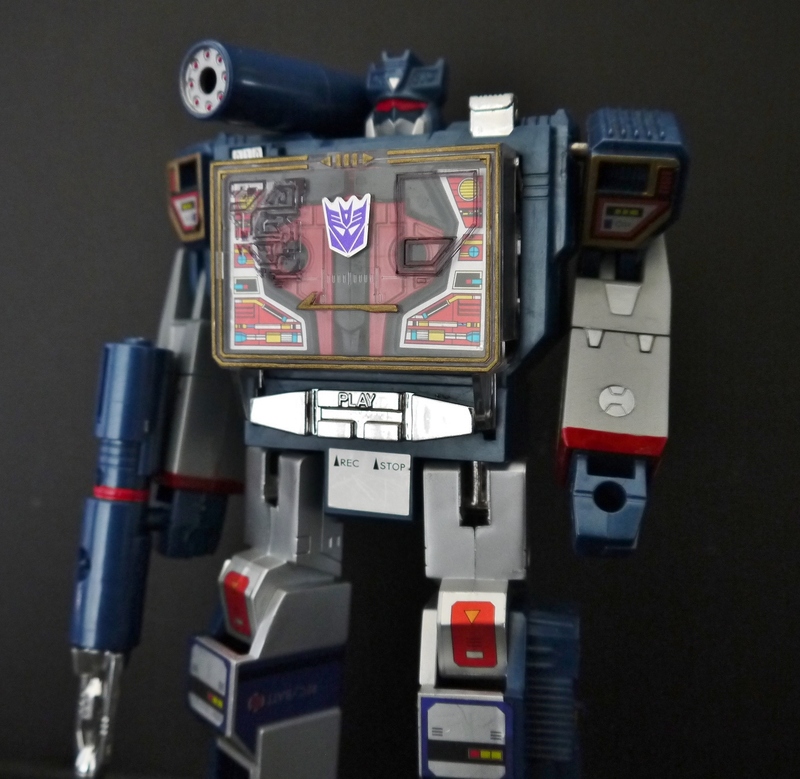 Soundwave was one such unfortunate soul. I went ahead and added some of the most random paint apps to this guy, including gold lining and filled-in sections, along with changing his visor color from yellow to red (based on boxart) and detailing his shoulder-mounted cannon. Pretty sure this decreased the figure’s collective value. Classic heat-rub affiliation symbol hooray! 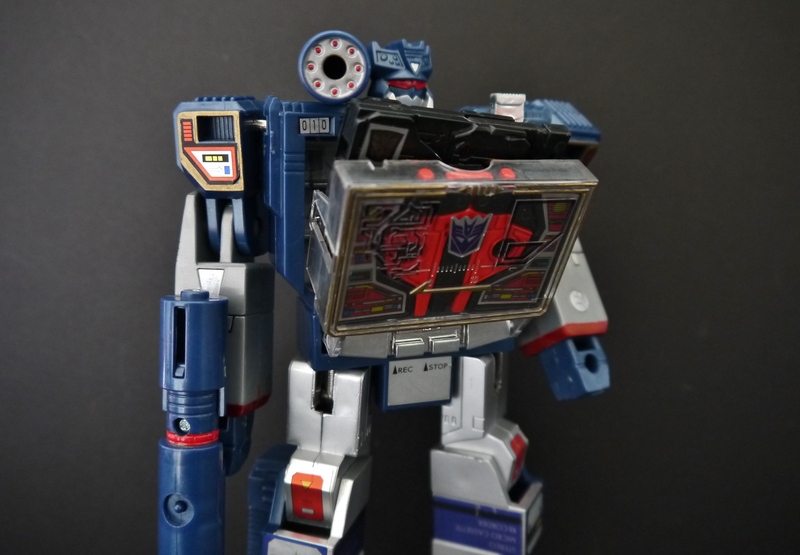 Soundwave’s iconic cassette player mode. I can say with some degree of certainty that most of my generation won’t even know what a cassette player is. Maybe not even a CD Player. All about the iPods and tablets nowadays. I’ve always loved his alternate form, it’s just so compact, solid, and cool. For such an old toy, there’s some really nice detail on him, some of which is made possible by stickers, such as the REC/BATT button and whatnot. You can see where I painted the gold on the back. 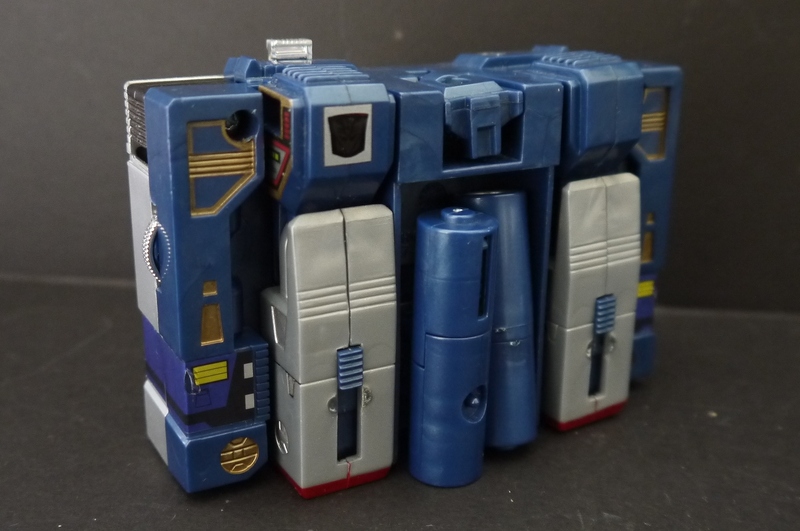 There are power switches and volume dials that can actually be turned on the sides, which make up his legs. Note the ugly silver/black nubs on the arms there. A bane of all Transformers figures. 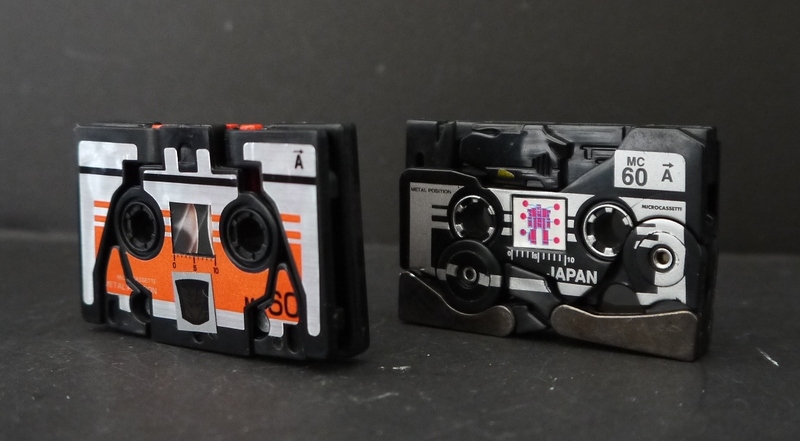 And naturally, of course, you get two of Soundwave’s iconic mini-cassette minions. 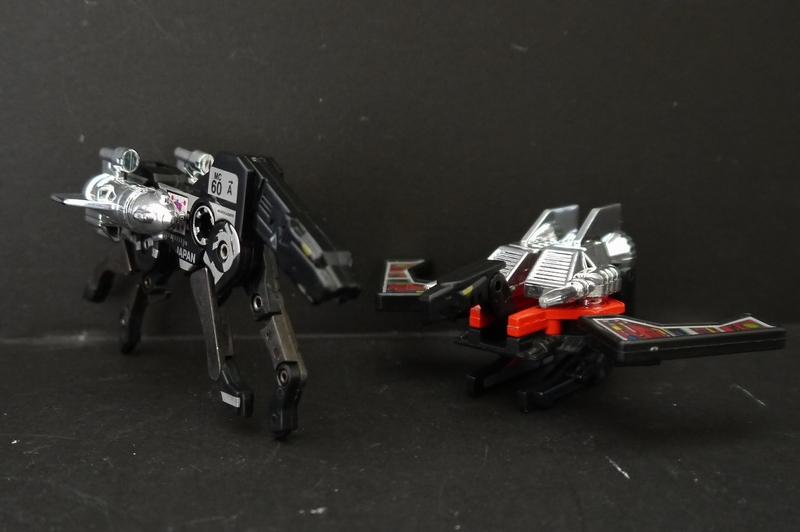 Ravage and Laserbeak are simple Transformers, but they get their jobs done. I’m impressed with the amount of metal used in them. The silver pieces are separate and must be attached onto them in their robot modes, though in the show I’m fairly certain this was a mass-and-physics-defying rule where they just shifted out of their bodies. 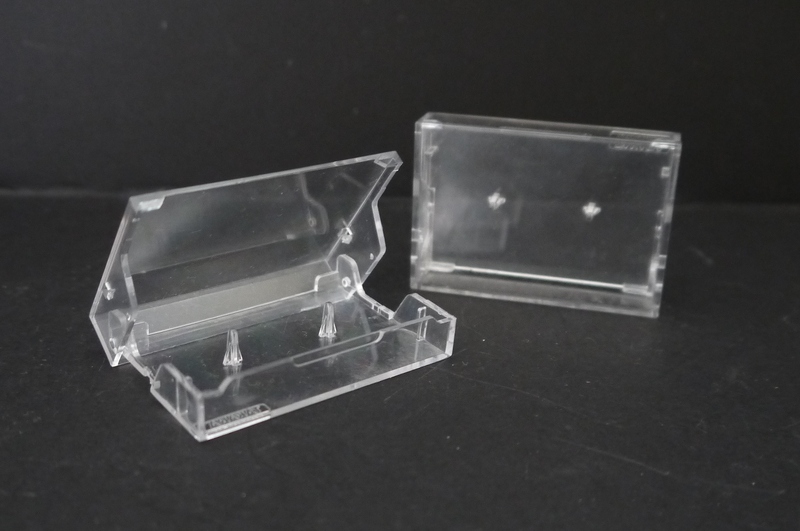 Laserbeak and Ravage in their clear prisons. 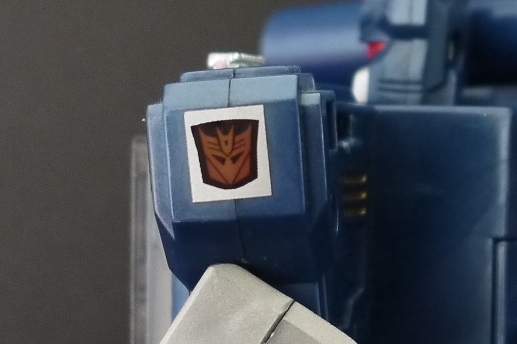 The button on Soundwave’s left shoulder releases his cassette storage. His chest is actually very highly detailed. It was originally in the same dark blue plastic as most of the figure, but I brought it out with some silver. 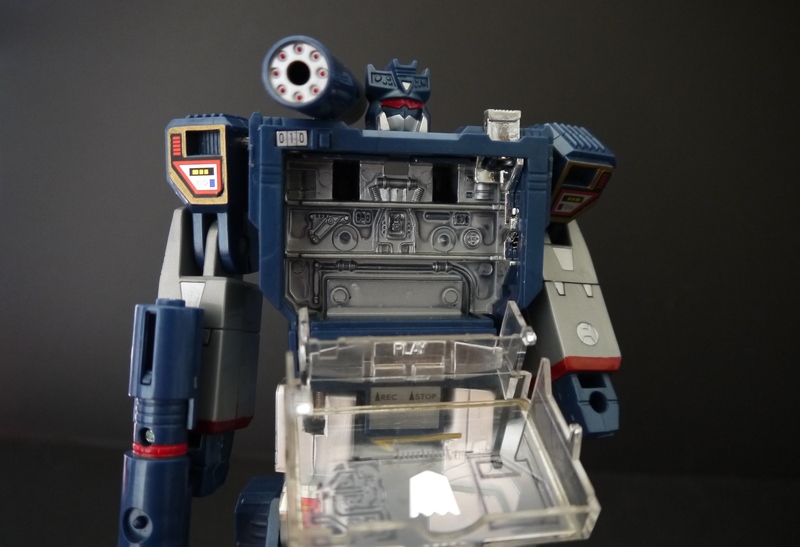 The mini-cassettes slot right in there, and as I understand it, this reissue of Soundwave is slightly retooled to have a larger chest compartment to hold two cassettes at once. 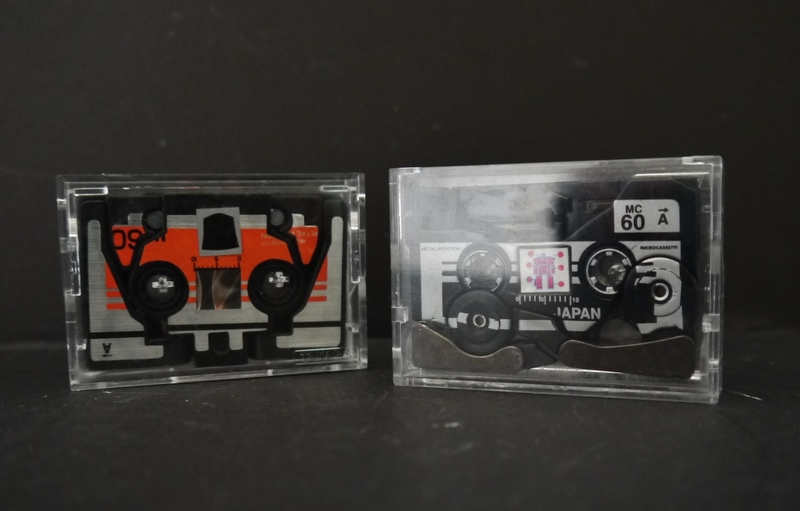 The real original had a flat clear chest piece that didn’t jut out and only held one cassette. 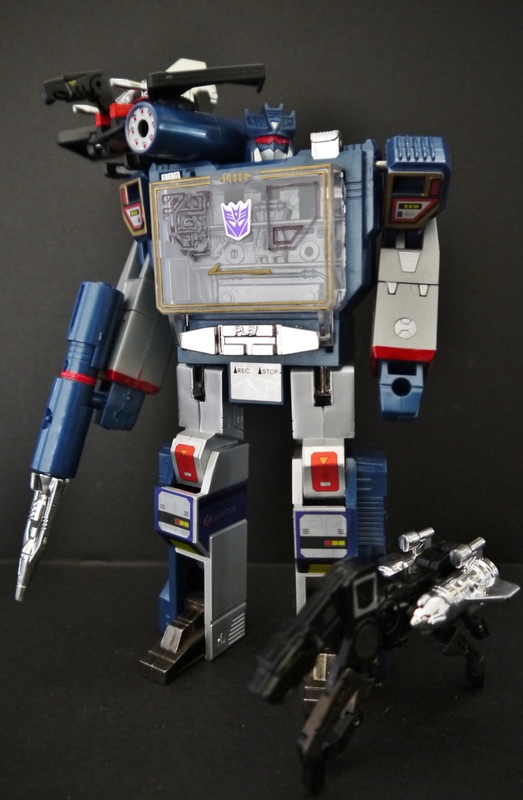 Among the other things, Soundwave also comes with three silver missiles/bullets/gun ends for his one handheld weapon. Not sure why three are included, as I only ever use one. 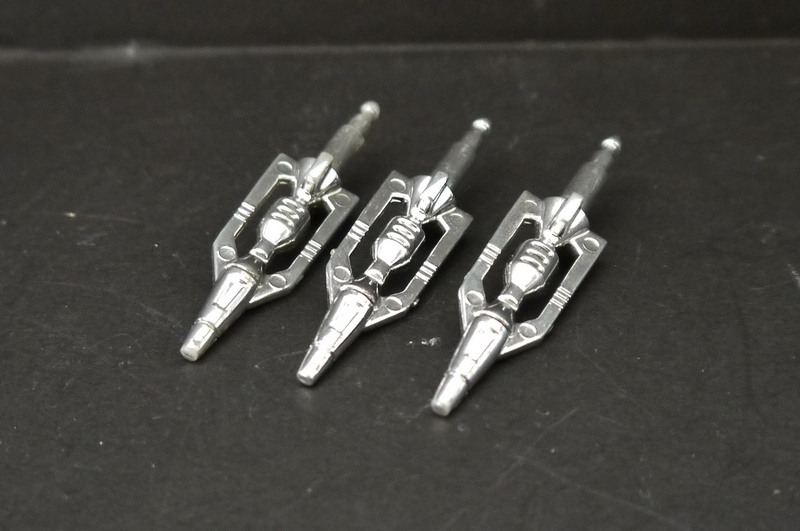 I’m fairly certain the gun is also supposed to have a firing missile effect with these, but it doesn’t actually work, at least not on my particular figure. As for actual posability…there really is none. The above is really all I could get, after racking my brain for some action poses. 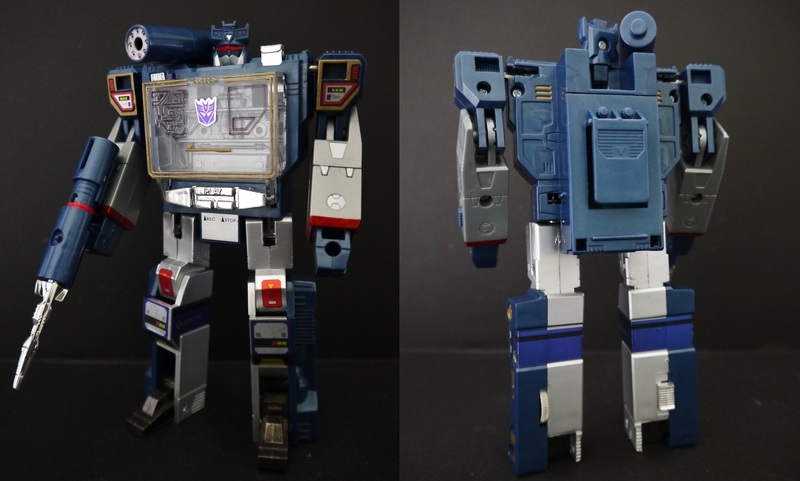 Soundwave’s knees don’t bend backwards as they should, due to his transformation, and there’s really no lower body articulation. In other words, he’s a literal block in both robot and cassette player mode. Not that I knock the figure for this though, given its age. 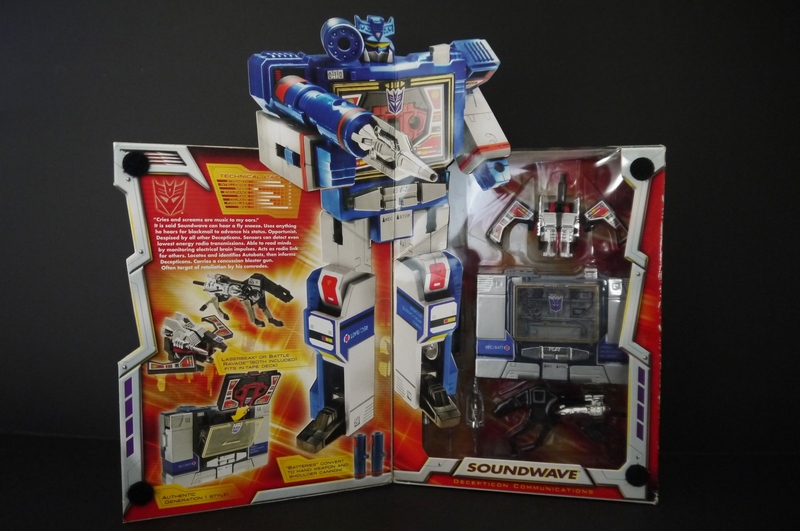 All in all I love Soundwave for what he is, as a classic Generation 1 figure. While I’d certainly like to get my hands on the stupidly expensive and exclusive Masterpiece figure, I’ve yet to see the money tree planted in my backyard yield any fruit. Be aware that this is essentially an outdated figure, but you don’t buy it for play value, you buy it for being a collectable. 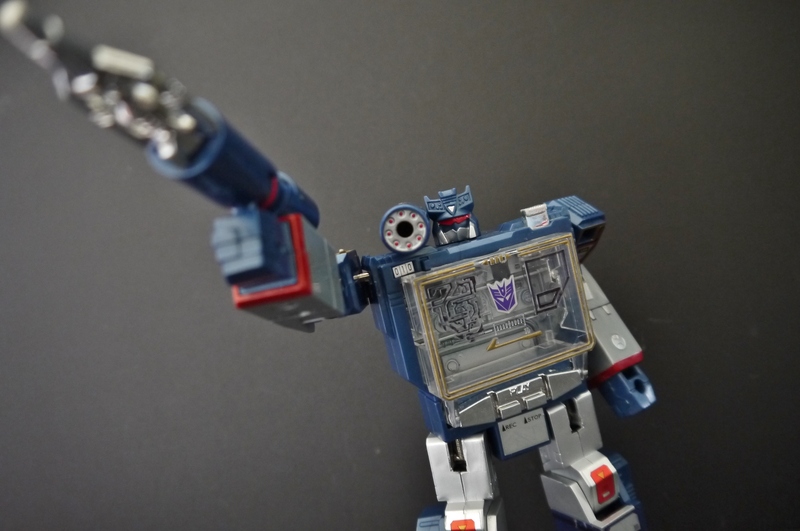 It may not feature the most amazing articulation seen before by a Transformer, but to be fair the Decepticon’s communications chief will look good be he be standing straight or otherwise.